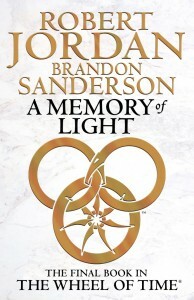 "A Memory of Light, the fourteenth and final book in the Wheel of Time series is on the Long List for the David Gemmell Legend award. 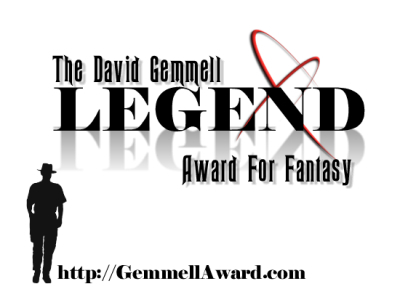 This award honors the best of fantasy fiction each year and is named in honor of the late David Gemmell. Gemmell was a prolific British fantasy author, with thirty novels published in his career. After his death, this award was established both to recognize the best works of fantasy fiction each year and to honor Gemmell's legacy. The Long List is selected by an international slate of professionals in the field each year, while the Short List is determined via internet poll. If you'd like to see A Memory of Light on the Short List, you have until April 13th to vote. 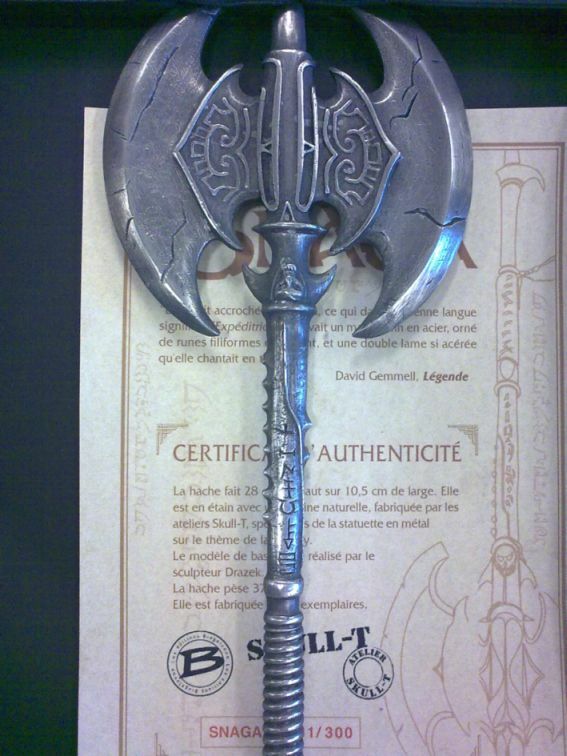 In addition to the recognition this award bestows, the prize itself takes the form of a wicked cool battle axe. 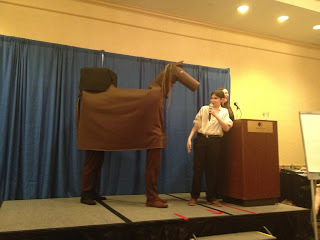 Brandon Sanderson won this award in 2011 for The Way of Kings, the first book in his The Stormlight Archive series." Ако искате, можете да гласувате, като цъкнете тук. И нека пожелаем тавиренски късмет и успех на последната книга от „Колелото на Времето“! Навярно на някои ще им хареса повече отколкото на други, но какво да се прави... все пак е последното парченце от "Колелото на Времето", което някога ще видим. 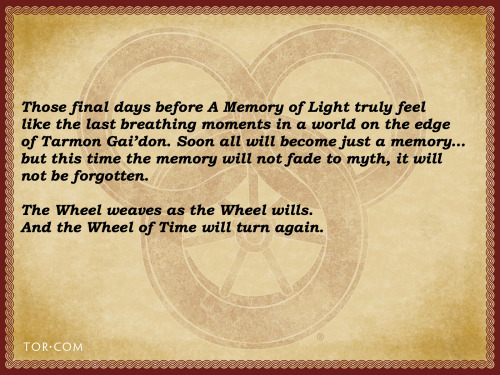 This is a deleted sequence from the fourteenth and final Wheel of Time book, A Memory of Light. As such, it contains some minor interior spoilers for that book—and it might not make a ton of sense to you if you haven’t read the Wheel of Time. However, if you have read the Wheel of Time (particularly the final book), I’d suggest that you read this sequence now and go no further in the introduction. The commentary here will be more meaningful to you if you’ve read the sequence first, I believe. I pitched this series of scenes to Team Jordan with the knowledge that the scenes were on shaky ground from the start. We knew Demandred was in Shara, and we knew some of what he’d been up to. I wanted to show a glimpse of this. However, Robert Jordan—in interviews—had said that the stories were never going to show Shara, at least not in any significant way. I felt that he hadn’t ruled out the possibility of a glimpse of Shara—he had only implied that nothing major would happen there on screen. Team Jordan agreed, and I set to work writing these scenes. My goal was to show a different side of one of the Forsaken. Demandred had been building himself up in Shara for months and months, overthrowing the government (Graendal helped with that, unwittingly) and securing his place as a figure of prophecy and power. 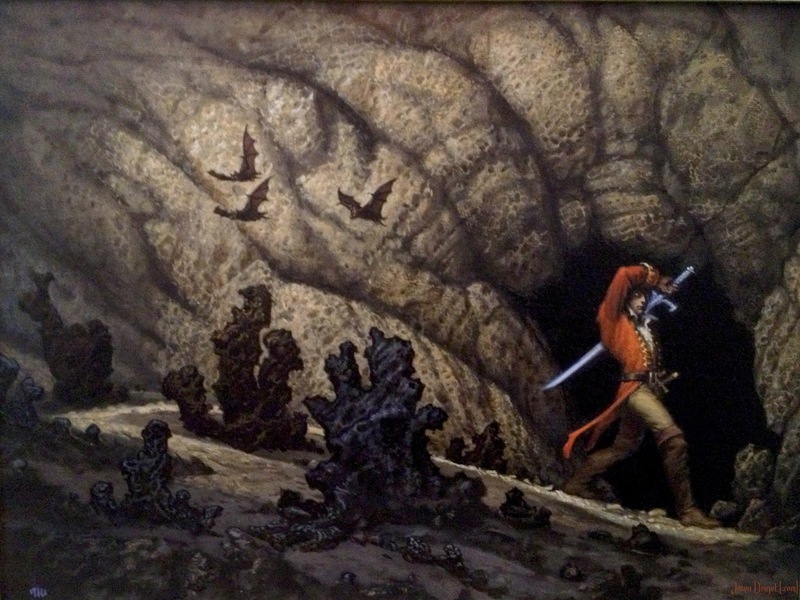 He had his own story, which could have filled the pages of his own Wheel-of-Time-like series. He had allies and enemies, companions who had been with him for years, much as Rand, Egwene, and company had found during their adventures in the west. My goal was to evoke this in a few brief scenes, at first not letting you know who this “Bao” was. I wanted to present him sympathetically, at least as sympathetically as a man like him could be presented. It would only be at the end of the sequence that the reader realized that Bao was indeed Demandred, and that everything he was doing here was in preparation for destroying the heroes. It was also important to me that we see Demandred for what he is—an incredibly capable man with a single overriding flaw. Everything about him, including his ability to feel affection, is tainted by his supreme hatred of Lews Therin. The narrative was to hint that it never had to be that way. He could have made different choices. Of all the Forsaken, I find Demandred the most tragic. The sequence accomplished these goals—but it did so too well. In threading this sequence into the rest of A Memory of Light, we found that the Demandred scenes were distracting. The worldbuilding required to make Shara distinctive felt out of place in the last book, where the narrative needed to be focused on tying up loose threads rather than introducing a multitude of new questions. Harriet—Robert Jordan’s widow and editor of every Wheel of Time book—felt that the scenes’ evocation of an entire untold series of books was too overwhelming. It didn’t feel enough like the Wheel of Time. If this had been book eight, that would be wonderful—the scenes would add variety to the series. In book fourteen, however, they offered a taste of something that would never be sated, and served only to make promises we could not fulfill. My biggest worry in cutting these sequences was that Demandred’s arrival later in the book would feel abrupt. However, test readers didn’t feel this way—Demandred as a character had been a proverbial gun on the mantel long enough that everyone was waiting for him to show up. His arrival felt dynamic to them, rather than unexplained. So, in the end, we left these scenes on the cutting room floor. I’m quite fond of them, and do consider the general outline of events within to be canon. However, the specifics of the worldbuilding are not canon. We cut these scenes before Team Jordan’s Maria Simons, queen of continuity, had a chance to go over them with her fine-tooth comb. I hope you enjoy this last taste of Wheel of Time storytelling. Thank you for reading. Bao slipped into the Oneness as he sat with legs crossed, surrounded by darkness. During his youthful studies, he had been required to seek the Oneness in the midst of a crashing storm, while being towed on a sled behind a horse, and finally while enduring the pain of a hot coal against his skin. He had once considered that training to be extreme, but life had since required him to find the Oneness during war and agony, during tempests and earthquakes. For today, for this moment, a dark quiet room would do. The Oneness was lack of emotion. Bao took all of his feelings—all of his thoughts, all that he was—and pressed them into a single point of darkness in his mind. That darkness consumed the emotion. He felt nothing. He thought nothing. He did not sense satisfaction at this, for there could be no satisfaction in this state. He was the Oneness. That was all. The tent flap lifted, allowing in filtered sunlight. Bao opened his eyes. There was no surprise when he saw Mintel. One could not be surprised in the Oneness. A thought did hover on the edges of his consciousness. The thought that this man should have been miles and miles away. “How?” Bao asked, releasing the Oneness. Mintel stepped forward. It had only been six months since Bao had seen Mintel, but the old man seemed to have aged a decade. His face was all folds and furrows, like a tablecloth taken in two hands and crumpled together. Completely bald, he wore a short beard, all gray. Though he walked with a cane, his steps were sure. That was good to see. Mintel might have grown old, but not frail. “I rode the caprisha through the City of Dreams, my son,” Mintel said, taking Bao by the arm. Mintel’s smile broadened, lines spreading from his eyes and mouth. “To want, to receive, to understand.” It had the way of a quote about it, likely one of the proverbs of Kongsidi, the great servant. Mintel was abrishi, after all. “And that means?” Bao asked. Bao flexed a hand, then pulled off his glove. The back of his hand had been scarred with a terrible burn in the shape of a circle, with three sinuous hooked knives stabbing out from the center toward the perimeter, their tips turning until they blended with the line outside. “As the Tapestry unravels…” Bao said. Bao pulled his glove back on, then strode out into the light. Bao pulled his horse to a halt at the lip of Abyrward. The massive rent in the ground spread out for what had to be leagues, though the people here did not use that term. It had taken him months to understand their complex measurements of distance, weight, and time. He still had to call in a member of the counters’ guild any time he wanted to be certain of a calculation. Mintel rode at his side. The ancient man had spent most of the trip with his eyes closed in meditation, as was the way of the abrishi. No man—not lord, not bandit, not slave—would interrupt an abrishi in meditation. A man would rather take his own hand off at the wrist than risk the unfavorable fate caused by such an action. As the horses stopped, Mintel’s eyes fluttered open. He breathed in deeply, and Bao knew that he was appreciating the grand sight. It was one of the most beautiful in nature. Short kingdom trees lined the edge of the rift. Though other places in the Inner Land were filled with dead trees only, here in this sacred place, they grew vibrantly. Their bright green leaves were the food of the silkworm, a symbol of the Inner Land as old as the symbol that had been burned into the back of Bao’s hand. The trees were in bloom, the blossoms hanging in clusters on short stalks below the leaves. The air smelled sharply of pollen. In front of the trees, the ground fell away into the deep chasm, the strata of rock making stripes on the walls. A stream ran down below. Angarai’la, the River of Souls. It was there that Bao hoped to find the object of his long search. Around him, the Freed moved up to the chasm’s lip. That was the name they had taken for themselves. Bao had given the men shirts, and they had ripped them into strips and tied them around elbows and knees. They moved like animals as they reached the chasm and looked down, not speaking, bare backs to the sky, feet unshod. The tattoos on their backs and shoulders wrapped around their necks, then formed into claws or barbed branches below the chins. Their heads seemed to be held from below by the tattoos. “Where is Shendla?” Mintel asked. “She will come,” Bao said. And she did, right on time. As the sun reached its zenith behind the clouds, Bao picked out her crew moving up the side of the chasm from below. Slender and dark of skin, Shendla wore woodsman’s clothing. Thick boots, a rugged coat. She carried two long knives strapped to her back, handles up over her shoulders. Bao had never seen her in a skirt, and didn’t care to. “No man entered the shrine?” Bao cautioned. “Not Wyld yet,” he said, climbing down from his horse. “Then what are you?” Torn asked. Mintel chuckled at that, ancient eyes alight. Shendla smiled. “Oh, I know, I know,” Torn said. “That doesn’t mean I can’t try. Someday I will break that mask of yours, my friend. Someday!” Torn laughed, taking a canteen from one of his servants and drinking its contents down. The Freed gathered around him, but Bao seized the One Power and pointed. “Wait!” he commanded. They responded only to direct—and forceful—orders. Like hounds. The feral men pulled away, climbing up onto a nearby incline and huddling down to await his return. Shendla still held his arm. A tiny broken piece of him was fond of her touch and wished for it to linger. That disturbed him. It had been…long…since he had felt an emotion such as that one. “I see trouble in your eyes,” she whispered. “Walk with me a moment,” he said, leading her toward the path down into the chasm. Bao turned his head and saw that Mintel watched them go with a curious, yet patient, expression. The old man then closed his eyes and entered meditation. The man would meditate until Bao returned, eating nothing, taking only occasional sips of water. Mintel gave no farewell, and Bao had expected none. The old man closed his eyes to Bao, then would open them to the Wyld—come at long last into the world. She drew her lips into a line. She did not like being told what to do, but she had given him her oaths. “What bothered you, above?” she asked. He turned to her, and she stared into his eyes. “I did it to create chaos!” he said, turning. Darkness within, Bao thought. She is so earnest. She believes it. And…did he? Two years in this land. Was he starting to believe? Had he accidentally found in this place the very thing he’d so long sought? How well she knew him. “I…” he found himself saying. “I will…protect this people, if I can.” Darkness within! He did believe. Only just a little, but he did believe. Bao let his eyes linger on her, hearing Torn laugh as he told a story above. Then Bao summoned the Oneness and stepped down the path. Bao kicked out the campfire. He had started it with the One Power, but now—in the light of morning—it seemed to be wise to avoid channeling. He did not know what awaited him inside Rai’lair, the Hearttomb. The guardian was said to be something ancient, and there were many ancient things that could sense channeling. He continued on his trek. His sleep had come fitfully these two nights of his journey. Perhaps he should have Traveled directly to the entrance of the cavern, but that would have been…cheating. A piece of him laughed that he thought of it so. What cared he for such rules? Strangely, he did care. More and more, he wanted to be the Wyld to this people. They were a means, a tool, but a man could treat his tools well. Too many of Bao’s associates would break or cast aside a tool once their interest waned. He stepped up beside the River of Souls. It did not look like much, more a stream than a true river, if a fast-moving one. The babbling noises it made accompanied him down the long decline, always his companion. At times, its noises sounded like whispers. Perhaps that was where it had earned its name. He filled his canteen from it. Only the Wyld could drink its waters, and he wanted to taste them as soon as he achieved his goal. Eventually, he saw the maw of the Hearttomb opening before him. He checked the sun. Still early in the day. Could he be done and return in time? By prophecy, he was supposed to return from the pit at sunset on the third day. How would the people react if he fulfilled their prophecies in all other ways, but then failed to do so in time? He arrived at the point where the river descended into the cavern. The stone face of the rock here was worked into the shape of a man and a woman kneeling, heads bowed. And…was that the image of a chora tree, carved behind them? Time had worn the rock face deeply; he could not make it out for certain. He seized the One Power and entered the cavern. Amazingly, the inside was overgrown with foliage. Ferns and saplings lined the river as it ran into the darkness. Bao frowned, then spun a web to create a light for himself. Better to risk a small amount of channeling than to continue forward in the dark. He anticipated the plants vanishing as he went deeper, but they did not. Against all logic, they continued; they bloomed, though the land above was in the Great Lord’s grip. So, Bao thought, walking deeper, the tomb’s guardian is one of the Nym? He had not expected this. One of the vines at his feet moved. Bao channeled, releasing a blast of fire at the vine. The fire hit, but it had an unexpected effect—where the web touched the vine, more sprouted out. The room started to shake. Ahead of him, the darkness trembled, and his light shone on the interior of a horrible maw that stretched from floor to ceiling. Needle-sharp teeth stood in array all the way down its greenish throat. What looked like insectile arms broke up through the twisting plants, long and slender, reaching for him. Bao cursed, unsheathing his sword. During these last two years he had honed his skill back into top form, and he now considered himself the equal of any man. As those arms came for him, he hacked and sliced, weaving between them in the ancient sword forms. He separated the insectile arms at the joints, leaving them twitching on the ground. He now knew what he faced. Somehow, a juvenile jumara must have crawled into this cavern and gone through its pupation and transformation. The resulting Shadowspawn was too large to squeeze back out; he saw only its mouth and some of its tendrils and spines. Jumara strengthened when the One Power was used against them. Aginor, I hope you burn, wherever you are, Bao thought. He had always hated these creatures. He snarled, and charged the beast. As he ran, he used weaves to lift chunks of rock up into the air, then burned them molten in the blink of an eye and sprayed the jumara’s maw with melted rock. The thing screamed, the rock trembling as the creature pulled away from the end of the tunnel, revealing that it crouched in an enormous cavern. Its mouth had been pressed against the tunnel’s entrance near the ceiling of the cavern, to devour anything that tried to enter the cave. Bao’s foot hit the lip of the rock at the end of the tunnel and he threw himself out into the cavern, using a blast of Air to hurl himself forward. The enormous jumara reared beneath him, the “vines” proving themselves to be the tentacles that surrounded its mouth, the insectile arms the spines that grew from its maw. It was easily a hundred feet long, pushed up against the side of the cavern, its enormous clawed legs clinging to the rock. Bao raised his sword and dropped through the air toward the thing. Bao hauled himself to his feet, gasping, covered in blood from the jumara’nai. Its heart continued to thump, its body splayed open in places, crushed by rocks in others. Bao stumbled, then retrieved his sword from the rocks where he’d dropped it near the stream that ran through the cave. Behind him, the beast’s heart finally stilled. Bao leaned against a rock, ignoring his bruises and cuts. Darkness within. The thing had nearly had him. He hated the monsters he could not fight directly by channeling. Bao was convinced that Aginor had created them not to be part of the Shadow’s armies, but because of a twisted desire to see just how terrible a beast he could make. He crossed ground overgrown with plants. Between them peeked the bones of fallen heroes who had tried to best the cavern’s champion. A jumara was nearly immortal unless slain; they could live for millennia in hibernation, only eating when something touched one of their spines or tentacles. Bao shook his head, thinking of how easily these heroes must have fallen. Even with the One Power, even with centuries of training at the sword, he had nearly become another meal—and he had fought jumara before. He knew where to strike. Sword out, Bao reached the other side of the cavern. 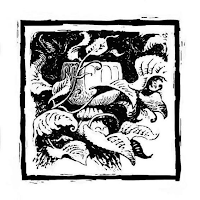 Here, upon a natural stone dais, he found the plants grown together into what seemed a kind of face or head. “Sleep,” Bao said, channeling Fire and burning away the creature. “Your service is at an end.” The plants on the dais writhed, then shriveled, drawing back. Upon the dais, the withdrawing plants revealed an object of gold. Bao could see why the people of this land had called it a cup, though it was not truly one. He had spent two years seeking it, slowly teasing its location from old accounts, myths, and stories. He picked it up, reverent. A short time later, he left the cavern and stepped into Angarai’la, the River of Souls, to wash off the blood of the fallen guardian, and drank deeply of the cold water. That done, he walked to his pack and removed the golden rod, as long as his forearm, that he had carried in it. A short distance below the end, the metal splayed out into a disc shape. He took the “cup” and slid it down onto the rod, the two locking into place. How enraged he’d been when he’d found the rod, thinking his quest done, only to find that the sa’angreal had been separated into two pieces! Now they were whole again. He took a deep breath, then channeled through the rod. The One Power rushed into him, flooding him. Bao cast his head back, drinking it in, and laughed. Laughter. How long had it been since he had laughed? This land, these experiences, had brought mirth back to him somehow. He exulted in the power. What he held was no cup, but the second most powerful sa’angreal ever created for a man to use. D’jedt, known simply as the Scepter during his time, had been so powerful that it had been kept locked away during the War of the Power. This…this was a grand weapon, greater than Callandor. Holding it, Bao felt powerful, invincible. He found himself running back up along the river, and did not grow fatigued. He ran through the rest of that day. The hours passed as if in the blink of an eye. At sunset, he burst up the last few feet of the trail, bearing his prize. He raised it up high over his head, striding to where he had left Shendla. She waited there still, sleeping in the very spot where he had left her. She rose, then immediately went to one knee before him. The Freed scrambled down from their hillside above. He did not fail to notice that the female Ayyad, dressed in black robes with white tassels, had arrived to watch for him. Two hundred of them waited with the gathered nobility that Bao had appointed. In a wave, they fell to their knees as Shendla had, leaving only Mintel, who sat at the top of the path with legs crossed as he meditated. The people began to cheer him, and Shendla looked up. “You smile,” she whispered. He noticed a tear roll down her cheek, and she bowed her head again. He had come among them as a stranger. And oh, what power he had found, far more than he had ever anticipated. The Scepter was merely a beginning. The cries of the people rose to the heavens above. Bao drew in power thirstily, and fully embraced what he had become. Two years ago he had started on this course when he had decided to impersonate a slave among the Sharans. After that had come the revolution, which he had led almost by accident. Through it all, he had sought one thing. Through earning the allegiance of the Ayyad—won at a terrible price—and gaining the fervent loyalty of the Freed. Through the chaos of revolution and vanished monarchs, through the solidification of a kingdom beneath him. Through it all, he had sought this one object for a single purpose. Finally, Lews Therin, thought Bao—once named Berid Bel, and later called Demandred, now reborn as the savior of the Sharan people. Finally, I have the power to destroy you. Официално! "Спомен за Светлина" излиза на 27.05! Колко време само чаках да си ползвам съкровището. За което благодаря на "Бард", тъй като без него надали щях да имам удоволствието да си я взема с твърди корици. Светлината да грее над вас и Създателят да ви опази през следващия месец! Алтернативна корица на "Спомен за Светлина"
Художникът отновo е Michael Whelan, като това е една от версиите, представени на издателство "Тор" (при това една от най-харесваните, както пише Джейсън в Dragonmount). Причината да се спрат на другата, а не на тази, е, че издателите са искали да бъде включен моментът със затъмнението. Не обръщайте внимание на качеството на картината - такова е, защото е само концепция, ако я бяха избрали, навярно щеше по вид да се доближава до оригиналната. Дали е сигурно, навярно се питате? Е, би трябвало вече да е сигурно. От доста време насам най-честият отговор, който дават от "Бард", е именно юни, та да стискаме палци всичко да е преведено, написано, редактирано, комплектовано, опаковано и... Така де. Готово за изпращане (или почти, не знам в последния месец какво точно се прави в процеса "книгоиздаване"). A Memory of Light - ebook! Естествено, анкетата, сама по себе си, не е особено важна (пък и всички знаем какъв е шансът да екранизират любимата ни поредица), но исках да използвам повода да спомена, че по последна информация в сайта на ИК "Бард" книгата, която е "най-чаканата може би въобще в историята на фентъзито" (коментар на Ани в сайта на издателството), ще излезе най-рано през май. Е, мина, не мина време и се появи първото читателско ревю на книгата, при това не къде да е, а в "Аз чета" - един от най-мащабните литератури сайтове из нашето интернет пространство. "Една от най-мащабните фентъзи поредици, писани някога, най-сетне приключи! Това е краят на една епоха в много отношения, както за историята в „Колелото на времето”, така и за всички почитатели на поредицата. Самата аз я чета вече 12 години и докато аз растях и се променях, влюбвах, разлюбвах, борех се със страховете си, търсех пътя си, така и всички мои любими герои от „Колелото на времето” се променяха и развиваха. „Спомен за светлина” ме зарадва и натъжи едновременно, защото от една страна прочетох края, но от друга - това беше сбогом с много любими герои. Обзе ме чувството, което обхваща всеки страстен читател, след като затвори последната страница на книгата, която го е вдъхновила и попаднала сред онези специални книги, които остават в сърцето и спомените му завинаги. Тези два откъса са от началото и края на ревюто, тъй като в останалата си част се издават някои дребни детайли, които биха могли да ви развалят удоволствието от четенето на книгата. :) За цялото интервю цъкнете тук. Но не забравяйте после да си закупите и книжлето, когато е готово на български! 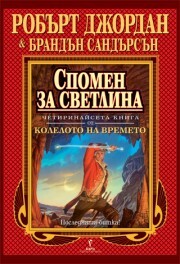 Книжката я има вече и в Zamunda.NET! Rise, and save the world. Напълно нормално, след като от вчера "Спомен за Светлина" е официално на пазара (макар и не тук), хората започнаха по-честичко да се интересуват от българския превод. От "Бард" не са си променили с много становището, макар че като че ли леееко забегват по към топлите месеци. Та ранна пролет или след април? За мен след април си е баш вече късна пролет, та ако не и кажи-речи лято, зависи до колко ще ни се усмихва слънцето. неделя, 6 януари 2013 г. They stood at the edge of time itself, and still Thom Merrilin found a smile. Loial, son of Arent son of Halan, had secretly always wanted to be hasty. moments that grip the heart." Тамирлин (Мат Хач) от theoryland.com публикува само преди няколко часа своето ревю на "Спомен за Светлина" и въпреки че няма спойлери, препоръчвам на онези, които не искат да замъгляват ума си с мнения относно качеството, мнения относно работата по книгата и всички онези въпроси, които бяха повдигнати едва ли не със самото избиране на Брандън Сандерсън да довърши поредицата, на всички тях препоръчвам, може би, да не го четат. От друга страна, според мен, добре е човек да знае какво го очаква. Всеки има различно виждане за последните две книги, както и всеки от нас ще погледне по различен начин на последната, наистина последна книга. За себе си само ще кажа, че думите в ревюто не ме изненадват, но пък някак... стоплят с искреността си. Това в никакъв случай не означава, че няма да се насладя в пълна степен на книгата - отдавна съм си казала, че нищо не ще ми попречи да направя това. An end to so much has come. In an unexpected way even an end to waiting, a parallel journey many of us began more than two decades ago when we picked up that mysterious and daunting blue book. At that time, none of us could have known how it would change us. How could we have known what was to come when he led us out of the small villages of our lives? How could we have known...and now that journey too is over, but the longing I feel persists. An emptiness remains. A bond has been severed, not quite tenderly. With imaginary threads, that masterful storyteller entangled us in the warp and the woof of the Pattern of an Age that was ending. We were swept like straw into a whirlpool and I, for one, know I have lived a greater life because of it, because of him...but you came to hear about a book. For me, A Memory of Light is a book of moments, moments that grip the heart. That’s how it plays in my mind’s eye, many of which remain imprinted there. Two such moments among the many, after more than twenty years reading and discussing The Wheel of Time, made this a meaningful end to my journey. And I look forward to discussing them. You will experience your own such moments. 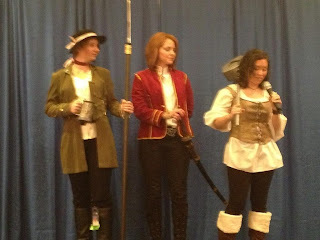 Suffice it to say, I felt some small joy when a thing or two turned out just a bit as I had envisioned over the years. Some scenes and events devastated me too, but the majority of the book was the pleasant surprise of discovery and understanding. At times, A Memory of Light spoke with a voice of thunder, and I’m willing to bet that you will live the final third of the book, as I did, shaking. Though, it took reading that final portion of the book twice to appreciate Jordan’s overarching vision. I wasn’t prepared for the loss I felt, but there is a completeness that I now savor. It is not a “perfect” ending. The book starts off slowly, almost torturously for freaks like me considering the tension built across decades, but it is compelling throughout. Some of you will dislike a few conversations between your favorite characters and others will feel a scene or two could have been handled better. I did. I felt similar things while reading Towers of Midnight, but I enjoyed A Memory of Light deeply. No, it was not my favorite book of the series. How could it be? After all, I created Theoryland and few theories survive literal endings. Yes, some characters here and there felt “off” at times. And I heard Brandon’s voice more in this book than I recall in the previous two, though that has never bothered me much. I assume some consistency errors will be found (or already have been). We have so much time ahead of us to discuss such things, and we will. But I hope, sincerely so, that such will not prevent you from finding meaning and solace at the end of your own journey. But, fret not. Stop wringing your hands. We've been through this so many times together and the end is nigh! Prophecies will be fulfilled, some logically and others in surprising ways, but you do not know nearly as much as you think you do. I made that mistake too. I thought I understood the Wheel and the Pattern, those carefully laid out rules, some of which I helped nail down, piece by piece, year after year. Yet, even so I hadn’t quite grasped the totality of the Pattern failing and how it might reverberate across those very beliefs, even that all Viewings are true. No metaphor aptly describes my feelings since reading the final words of The Wheel of Time woven by Robert Jordan. It is done. And since finishing A Memory of Light, I haven’t known exactly what to say to anyone. Though, I have found some peace in the ensuing silence. Not that I can speak in much more detail yet, but I believe that I will be at a loss for words even then. This sense of loss and longing is something each will bear, some of us more than others, Harriet most of all. To Harriet, Maria, Alan and Brandon, your sacrifices are greatly appreciated. Thousands of fans around the world will express their gratitude to you over the coming months and years for the work you have completed, as they should. Each of you has given up a piece of yourself to bring about RJ’s final vision, for which I am in your debt. 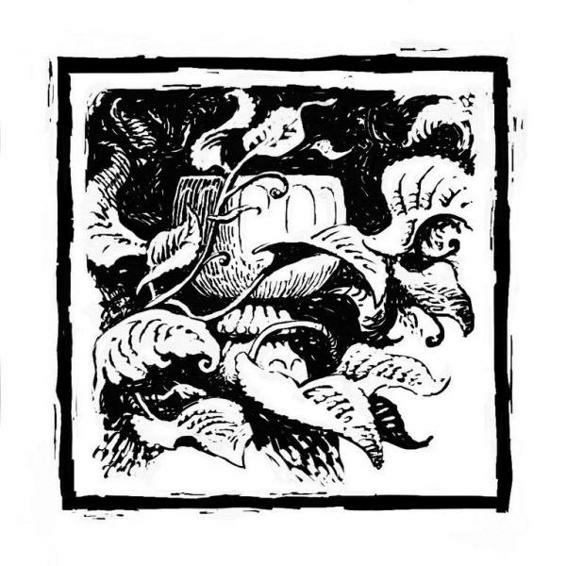 To the HCFFs, waiting with you will forever have been one of the most enjoyable parts of the journey; we filled the void with all manner of ideas and wonder for fifteen years! Thank you for making this crazy obsession feel normal. To my friends of Theoryland, your companionship has been remarkable. You are this motley crew, and I wouldn’t have it any other way. You named me and I will never forget your trust. Our friendships will endure; a final legacy of this ending. And to Robert Jordan, others have eloquently thanked you for your work and diligence and for the difference you made in their lives; I echo their thoughts wholeheartedly. I cannot thank you enough for this tale, the Wheel, and a most dear and meaningful promise, the simple advice that has brought so much light into this world: read and find out. "We'll remember those who fell, and we'll tell our children how we stood when the clouds turned black and the world started to die. We'll tell them we stood shoulder to shoulder, and there was just no space for the Shadow to squeeze through." They seemed to be cracks into nothingness. They drew the light in, sucked it away. It was as if he was looking at fractures in the nature of reality itself. Краят наближава. Готови ли сте? Humankind did not have days remaining, but hours. "Run, Bela," Faile said. "If you've kept any strength back, now is the time to use it. Please. Run, girl. Run." I AM THE ONLY HONESTY YOUR WORLD HAS EVER KNOWN.